To me, it was clear the shop was having a problem of some sort that if not corrected would eventually lead to it closing. 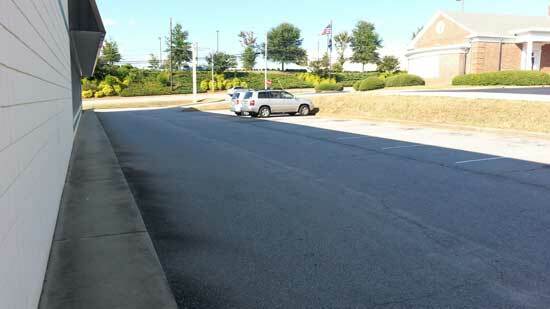 Another sign was the often near empty parking on the weekends. In the past this parking lot would have been overflowing with cars, but since the store stopped letting people play Warhammer, Magic and other games in the shop...well, you can see the results. 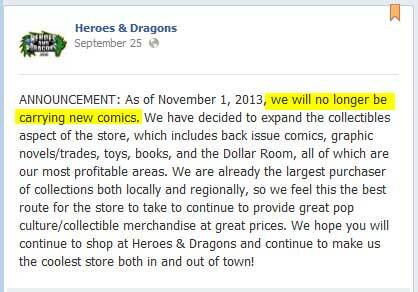 And now the shop has said it will no longer be selling new comics. What makes this even more noteworthy is the size of HD. 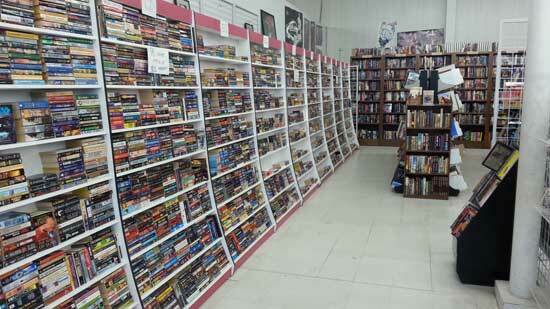 According to store owner Chris Foss, Heroes and Dragons is physically the largest comic store on the East coast. These pictures don't really give you a sense of the full scale of the shop, but trust me, it's massive. 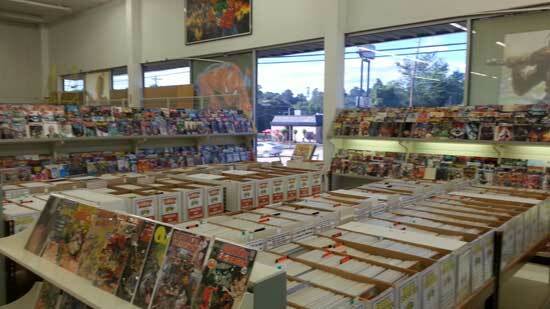 So taken on face value, the news that the shop is going to stop carrying new comics is pretty jaw dropping. However, word has reached me from several sources that the current plan is for the store to continue offering subscriptions to some of the bigger weekly subscribers. However, most of the longtime patrons I've spoken to have expressed some practical concerns about picking up their subs at a place where they can no longer browse for new comics. As MoSFan4Ever told me, he just didn't see any way he could practically use previews to plan out his comic purchases 3 months in advance every month. He's used to being able to look at some iffy titles on the new comics rack to help decide if he should buy them. People who try to continue at HD because they have store loyalty but over time will gradually find themselves buying more stuff from a shop where they can get new comics. These people may find themselves even starting a second sub at their secondary shop. As new titles come on the market, they will add them to that sub, not the HD sub. And given the way titles are cancelled and rebooted, it wouldn't take long before the HD sub is down to the bone. People who want to quite outright but are not bold enough to say so (you’d be surprised how many comic buyers fall into that category, but I’ve seen threads on Bleeding Cool where many fans confess to not being able to tell their dealer they want to leave the shop) This group can be a killer as sometimes they just let their stuff pile up in folders until it reaches a dollar amount they can no longer pay. Then they just quit coming to the shop altogether. 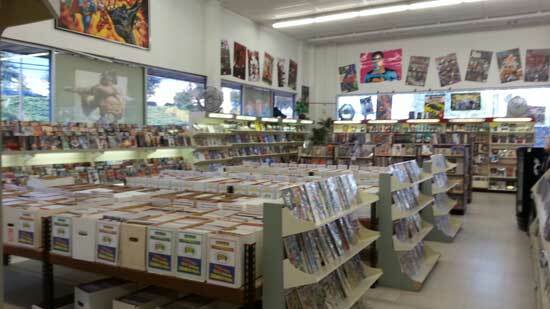 Comic shops are struggling to compete with video games, online retailers and eBooks. [Sunnyside] sales plummeted 80% since the height of the comic book craze in the early to mid-90s, he said. And they’ve fallen another 35% in the last 18 months, he said. Comic shops are struggling to compete with online retailers, which can sell the books at a fraction of the price of brick-and-mortar stores. That sounds like a pretty healthy number of stores for a burg the size of Columbia, but one has to wonder. If a store as large and fabled as Heroes and Dragons no longer thinks it's worthwhile to carry new comics, how are the smaller stores faring? 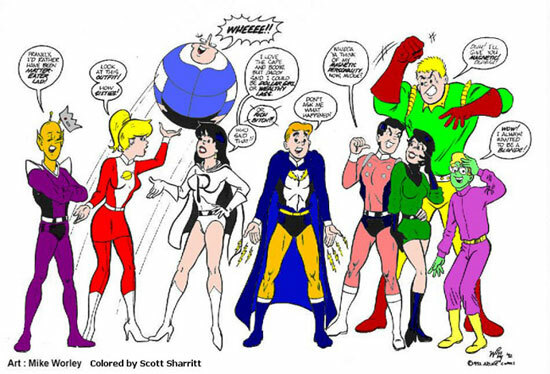 How would you revamp the Legion of Superheroes? I talked about DC ending the Legion of Superheroes on this blog a few months back, but I've never talked about how I revamp or continue the brand. Here are a couple of ideas I had or talked about with friends. This first one is probably going to be the most disliked, so let's get it out of the way now. The idea here is completely ditch most of the superhero aspects of the series altogether and make it more like a high school teen drama. There could be some mystery and adventure in the stories (about the level you might see in an Archie comic) but the stories would primarily focus on the romances and relationships between characters. I would have an artist like Amanda Connor draw the stories. 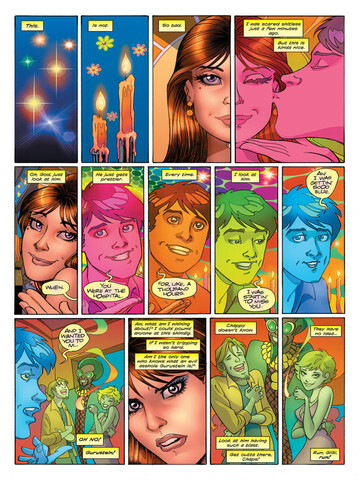 If this doesn't like the Legion comic for you, the long time fan, that's because it isn't meant to be. This is an attempt to find a new niche for the legion since it's becoming painfully apparent that modern comic readers have zero interest in the characters. I will say this, it's well known that the Legion fandom is second only to the X-men with the number of female fans amongst its ranks, so it's possible a more romance-centric comic might be the way to go. ...who seems to have been a long time member, but for which no records or memories exist today. I suspect this story idea might not appeal to current DC editorial as the notion, on the surface, is not one that sounds "new reader friendly." However, I think it could work in the same way as All Star Superman which often tips it's hat to old 50's and 60's stories without alienating new readers. The Legion are the teen heroes of the future Earth. They're celebrities who lead charmed lives. Maybe too charmed. A glitch reveals the truth. Their idyllic world is nothing but a computer simulation. These laboratory created, super-powered children are the creation of the eccentric (and long dead) billionaire, RJ Brande, who believed the future needed saving from itself. Escaping their somewhat malfunctioning AI minders, the kids emerge into a future much darker than anything they've know--and much more in need of them. What I like about Trey's idea is that it sort of gives you your continuity cake and lets you eat it too. With that idea, you could have this new Legion encounter revamped versions of old threats like the Fatal Five who are markedly different, but still similar in some ways, to the ones they encountered in their simulated adventures. With that, I must end this post with a question: How would YOU revamp the Legion of Superheroes? Or do you think that it's just not a concept that could be saved in any way in this day and age? 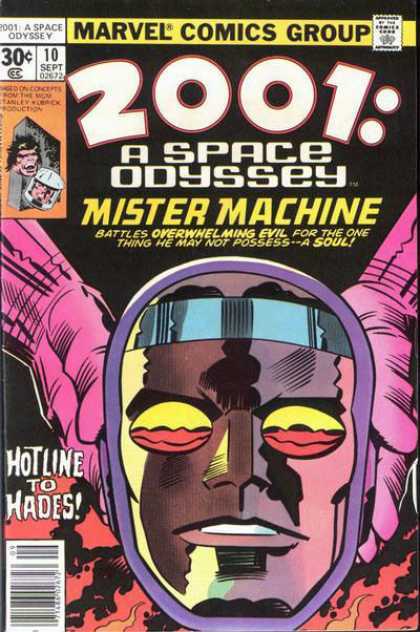 Over the weekend, I was looking for a complete list of all the Marvel Licensed Property (LP) comics from the Bronze Age and after a few minutes of unsuccessful searching I decided to put one together myself. ... because I plan to write an article on that line in the future. (Note: Fans of the old King Features characters should check out the new King's Watch series written by Jeff Parker from Dynamite comics. I got the first issue and was quite surprised how good it was. 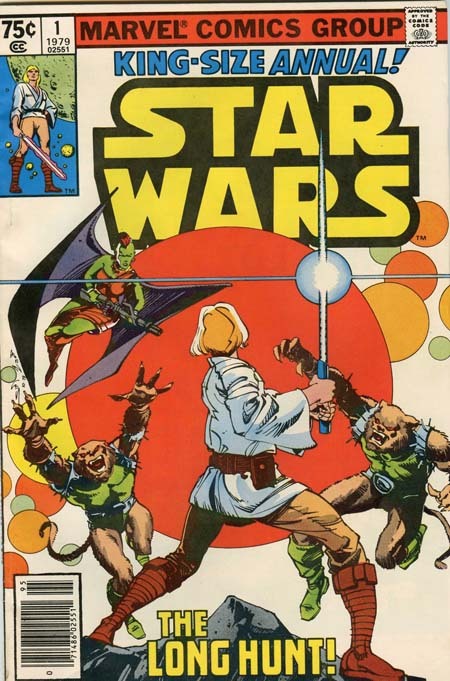 I bought the first issue of Star Wars at an Eckerd's Drug Store several months before the movie came out IIRC. 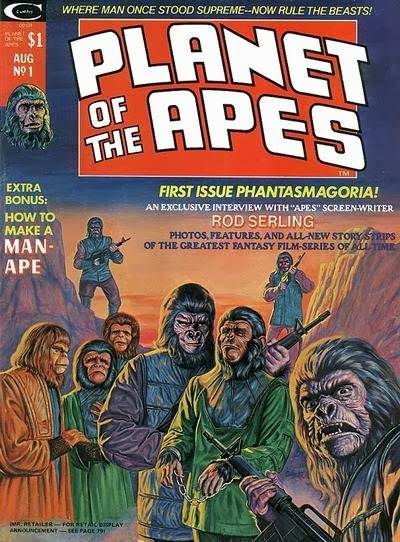 The words on the cover of issue 1 exclaimed that it was soon to be a Major Motion Picture! 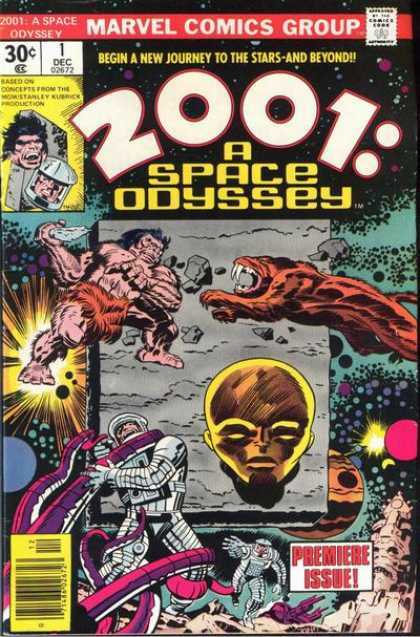 At the time, I figured it would be just another one of those cheesy sci-fi movies that no one would like, because there was no way anyone could make a movie that looked as cool as this comic book. When the movie opened, I went and saw it with my folks. I remember thinking, "Holy Smoke! They actually did it!" Here's one that is probably in the top 10 list of everyone's favorite Liscensed character comics, ROM is a comic that actually outlived the toy that inspired it. To this day the character has a huge fan following and the Knights of Galador have recently returned in the pages of Marvel's Infinity. The only thing that has held ROM back from making a reappearance all these years is the complicated matter of Toy rights ownership. With Toys, often a skilled toy designer may negotiate ownership rights with the manufacturing company. When that happens, if there is any doubt about clear secondary market rights, the ambiguity can hold up production in those areas. Many comic luminaries (such as Robert Kirkman) have pursued negotiations to produce a new ROM comic, but to no avail. This Mego LP comic found inspiration in Star Wars but quickly found its own voice thanks to the fantastic team of Michael Golden and Bill Mantlo. 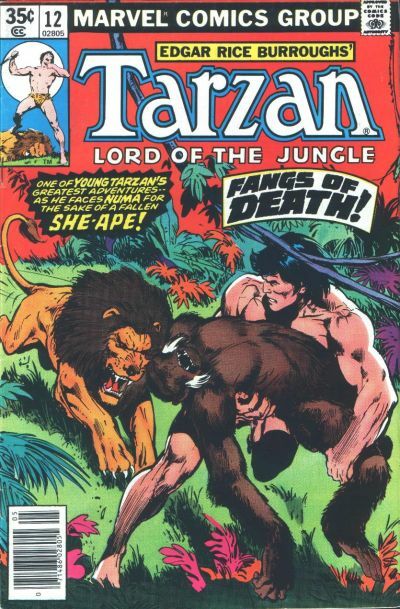 Most people probably don't remember Marvel's short lived Tarzan comic. A quick scan of the covers will explain why as it seems that Marvel was unable to think of any cover ideas other than Tarzan fighting some sort of jungle creature (which must've looked pretty lame compared to the rest of Marvel's lineup at the time.) They should have explored the Hidden/Lost City themes in the books more IMO. This series didn't last very long. It was probably the one two punch of an expensive license coupled with a movie that didn't quite meet fans expectations. I think I only bought a few issues before I deemed it not really my thing. I'd be curious to review the series again to see if was as boring as my teenage self thought it was. One of THREE Herb Trimpe pencilled books on this list. Why these guys have not reappeared in some form during this age of Transformers movies is a bit beyond me. Perhaps the Transformers so successfully stole the Big Robot thunder that Mattel never felt it was worth it to relaunch the property? 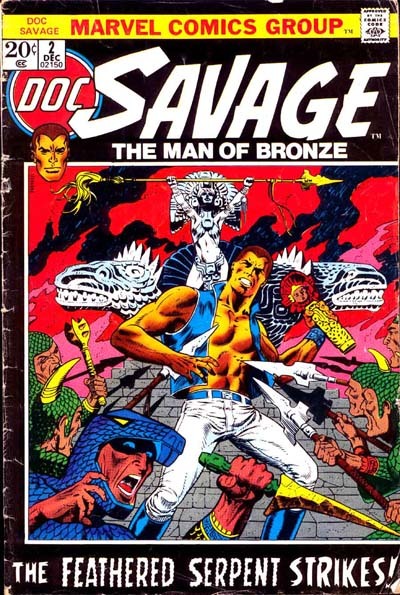 The four color adventures of Doc Savage didn't last very long, being about as successful as The Man of Bronze movie in 1975. Marvel also put out a black and white adventure magazine featuring Doc and his five compatriots, but that had even a shorter lifespan. Over the years, many companies have tried to turn the Man of Bronze into gold, but it seems to be a tough thing to do. 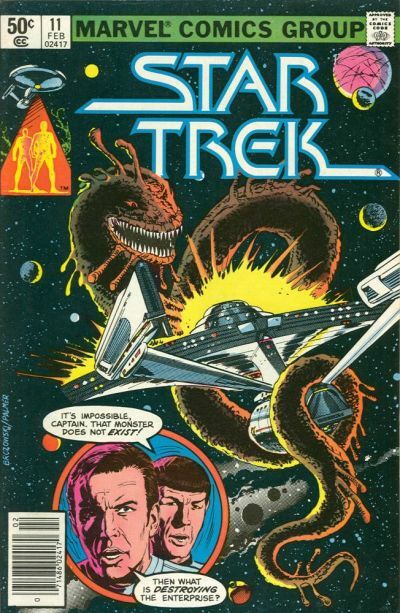 Partly, I blame the approach because I think the general tact is to do the stories as straight adventure stories, which totally makes senses except that like with Tarzan, the adventure stories that fit with Doc Savage all seem a bit tame by todays standards. I think it is no coincidence that Altus Press, the current publisher of Doc Savage stories, has begun taking a more exotic approach with the newer Doc Savage stories. 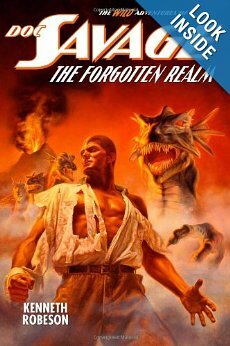 With that said, Dynamite seems to have successfully turned the Shadow into an ongoing franchise, so I would be interested in seeing how they would approach Doc Savage. Herb Trimpe's tenure on the Incredible Hulk made him the perfect artist to draw another big green skinned goliath who loved to smash things. 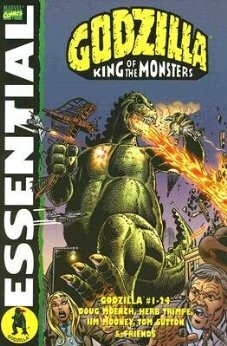 It didn't hurt that Doug Monench came up with some creative kaiju for the king of monsters to wail on either. Without a doubt, easily the most successful of all LP comic series Marvel ever published lasting several decades and creating an entire new comics genre. 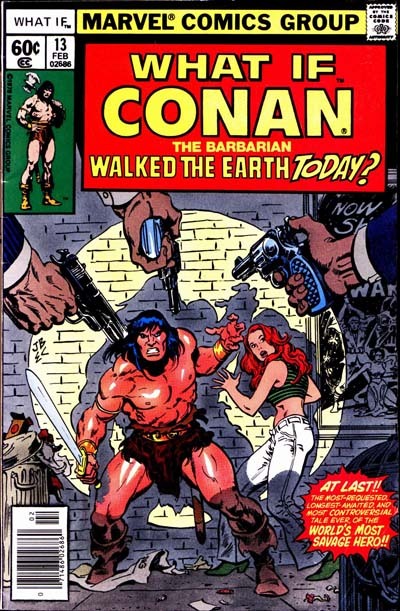 Over the years we would see Kull, Red Sonja and Solomon Kane also get some time in the Marvel universe. 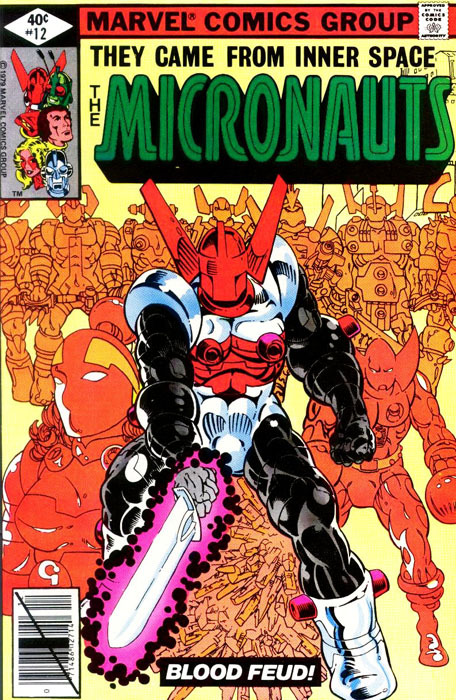 Despite having some fine artwork from Walt Simonson, this series tends to get forgotten by Bronze Age fans. That may be in part to the darker, horror theme stories which didn't really sync up with the grand space adventure ( Star Wars ) roots of the television series. All in all, the series ran for 23 issus before being cancelled, so it wasn't a total failure. This incarnation of the property would actually see a comics revival by Dynamite in later decades thanks to the revamp sy-fy series. 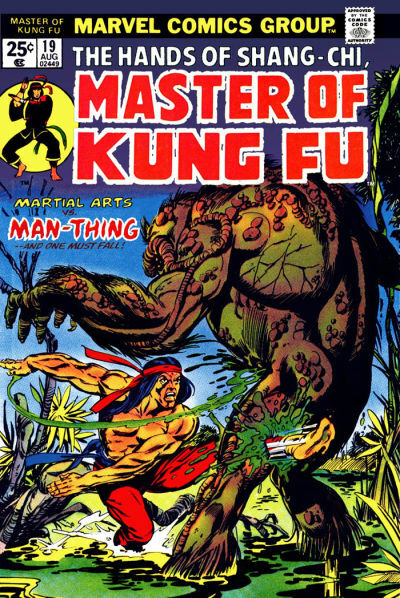 Created by Steve Englehart and Jim Starlin, this series was created the comic book rights to Sax Rohmer's villainous Dr. Fu Manchu AND the rights to the Kung Fu television series. 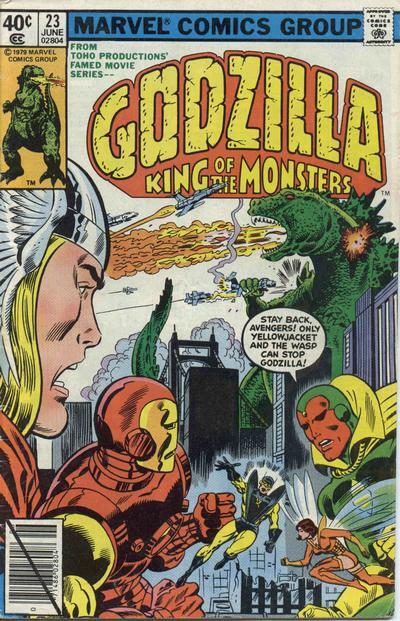 Instead of making two separate comics featuring each property, Marvel combined the concepts into one fully fleshed out world which would click with readers for a full 125 issues, making it the third most successful LP comic series on this list. 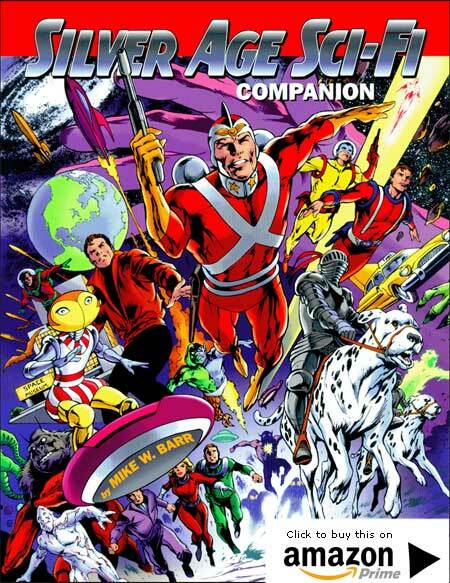 It was unique at the time in that it was a comic book series that was promoted on television commercials which also supported the toy line. 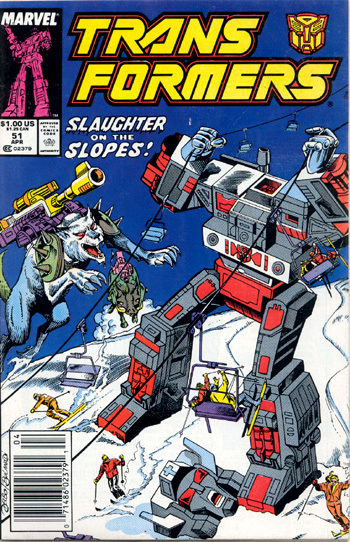 This 155-issue series is considered to be one of the longest-running comic book tie-ins to a toy line. 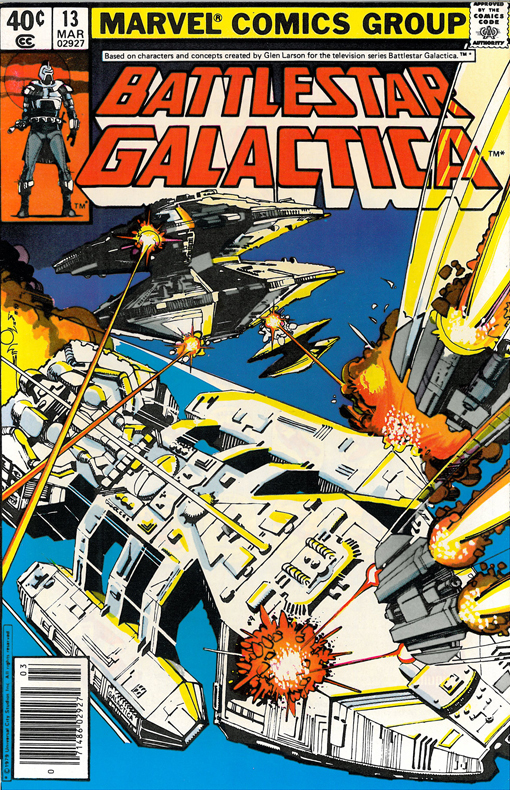 Much of its success is to be credited to Larry Hama, who wrote the entire series save for a few issues with guest writers. Rather than treating the stories as a mere promotion for the toys, Hama wrote the series with seriousness and infused it with doses of realism, humor, and drama. Other than Transformers, no other series was able to duplicate its success. Notable artists include Herb Trimpe, Ron Wagner, Rod Whigham and Marshall Rogers. 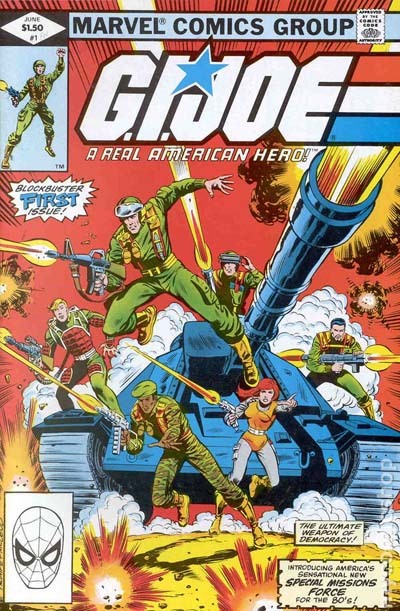 At 155 issues quite a number of spin offs and special issues, GI Joe is easily the second most successful LP comic. 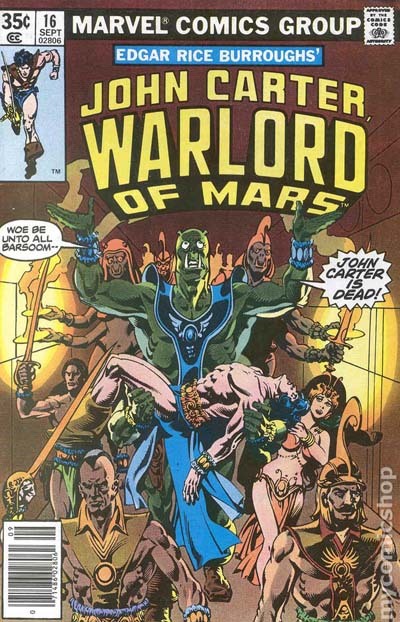 Long time followers may remember I once posted a Golden Age version of the John Carter comic previously on this blog. What began as a 4 issue limited series proved so successful that it lasted over 6 years, a point not missed by Marvel editorial as the last issue proudly proclaimed #80 IN A FOUR ISSUE LIMITED SERIES! 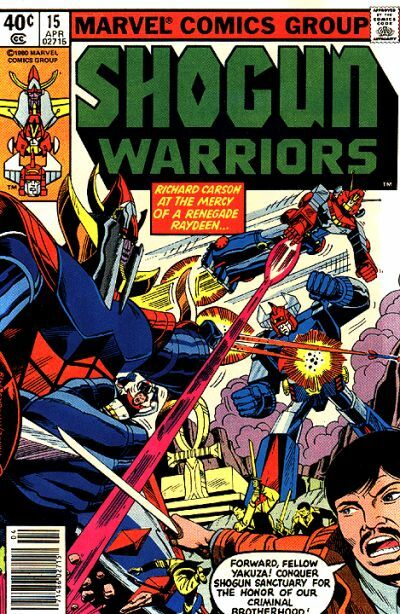 Originally helmed by Bill Mantlo (who did such a fine job with the Micronauts) Jim Salicrup and Bob Budiansky saw the book through the first year with Bob taking over sole writing chores until issue 55 when UK Transformers writer Simon Furman took over. Furman would remain on the title until its final issue. I'll wrap this up with two final LP Comics that started out as movie adaptations but grew into something more. 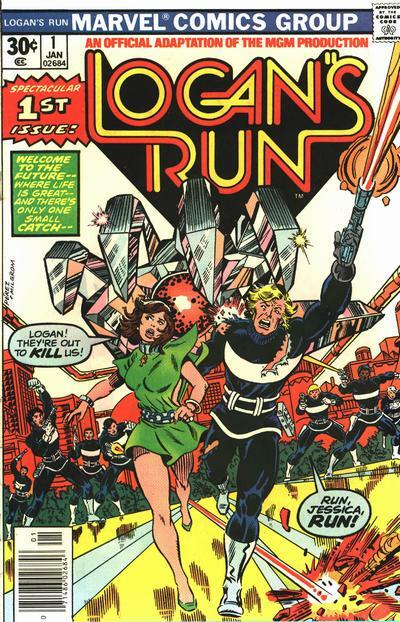 Logan's Run was more like a sprint as the series only managed last 7 issues. While the first five issues initially recapped the movie the book continued Logan's story with original content for a few issues after. Art afficianados take now: The recap issues were pencilled by George Perez. 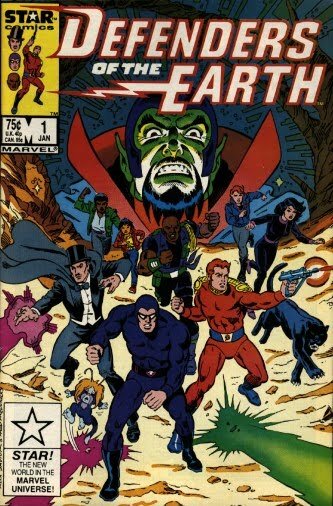 Also of interest is a Thanos solo back up story that appears later in the series. In review of the post, I see I took a rather scattershot approach to my commentaries leaving out the creators and series length in many cases. I'll get around to fixing that in time. Also, if I missed a series, please let me know in the comments section below! UPDATE: Sharp eyed commenter ShadZ noticed I had left off Marvel's Indiana Jones series which apparently ran an impressive 34 issues. In 1981, Marvel Comics published a three-issue adaptation of Raiders of the Lost Ark. 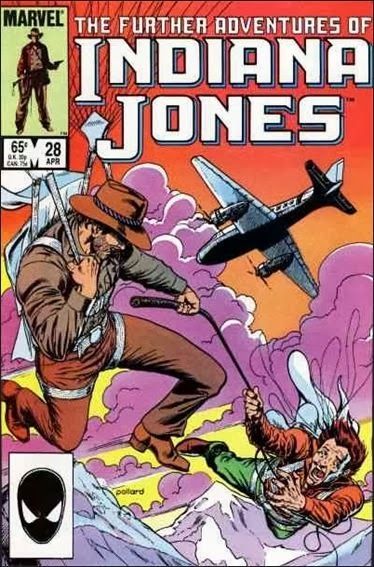 In January 1983, they gave the character his own monthly series, named The Further Adventures of Indiana Jones, which ran for 34 issues until March 1986. The series had Marcus Brody and Marion Ravenwood in regular supporting roles, and Sallah, Katanga and Short Round also appeared. 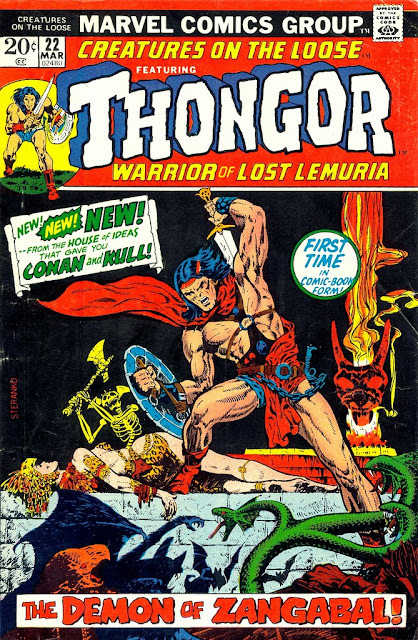 A three-issue adaptation of Indiana Jones and the Temple of Doom, and a four-issue adaptation of Indiana Jones and the Last Crusade, were also published. 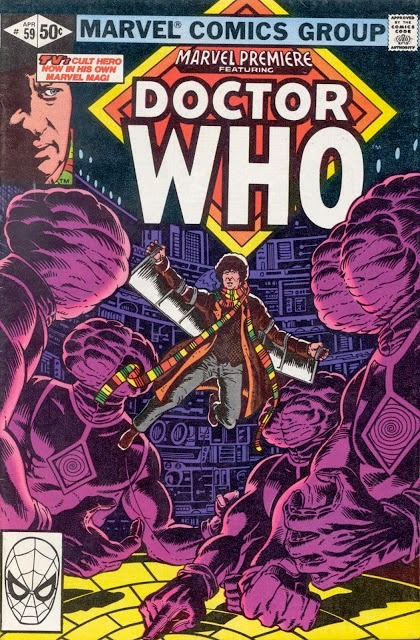 First, Jean-Paul Jennequin reminds me that Dr. Who had a short run in the pages of Marvel Premiere. Jean-Paul also asks would I include comics like Kiss and Alice Cooper, but I think I will save those type of comics for another article. 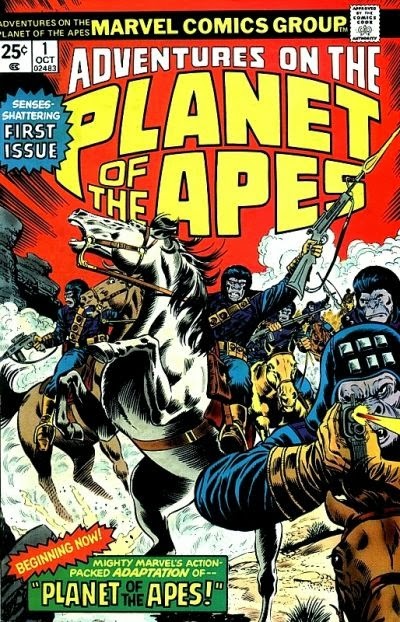 DD Degg calls forth one I forgot that I'm both shocked and embarrassed to admit - Marvel's Planet of the Apes series! Degg also brings word that Thongor was a licensed comic featuring a Lin Carter creation, which up to now, I never knew. 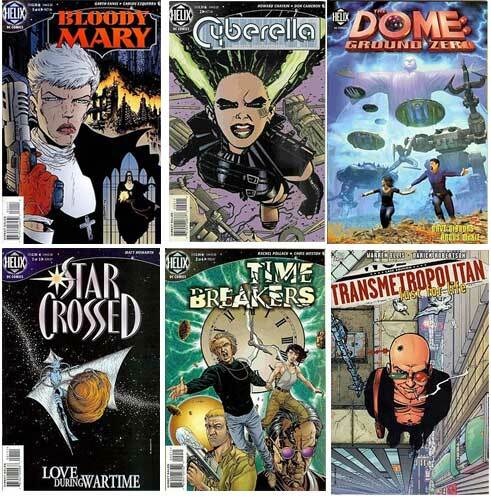 I'll try to round up some details about this newly added comics soon. In the meantime, keep the suggestions coming! Last week, while in the grocery checkout line with my daughter ( age 8) she asked if she could get an Archie Digest. Like most comic loving dads, I am overjoyed anytime she expresses any interest in my hobby, so of course I said yes. It cost $3.99, which was quite a bargain considering all the story content that came in the digest. My daughter picked it because she liked the fairy tale themed story she glimpsed while flipping through the issue. She also saw it contained Josie and the Pussycats who she likes as well. TBH - I was actually surprised that they still sold Archie Digests. I was a bit like my friends at work who are always surprised that comic books are still sold. I've probably passed by Archie Digests many times over the years, but just sort of figured they had moved out of the grocery stores. Usually, when I'm in the grocery store, it's by myself, picking up less than 10 items, so I don't stand in the line long enough to really note what in the racks. I think I also just naturally assumed the general downturn in sales that has affected the superhero comics market may have affected Archie comics. Which got me to thinking just how ARE Archie Comics doing these days? Fortunately for me, Johanna Draper Carlson over at ComicsWorthReading has done all the heavy lifting. The first thing I saw was that, yeah, the singles/pamphet editions sell pretty much about the same as your average C list superhero title (think Ms. Marvel or Blue Beetle) in the 7K to 15K range. Also, sales of titles have dropped quite a bit each year. Archie, the flagship title, which sold 27K in the 2007 dipped down to 13K in 2008 (the beginning of the recession) and is now only climbed back up to 15K. Betty and Veronica, another staple of the line, was at 17K in 2007 and is now only 9K! Many titles have been cancelled altogether over the years (Archie & Friends, Jughead, Sabrina, etc...) Based on the ComicsWorthReading article, 9K is the historical cancellation mark for an Archie title, so if that is true, Archie comics only has one title NOT in the danger zone for cancellation now! The digests do much better (as one might suspect given their higher visibility in stores) with a range of 46K for Archie Digest down to 37K for Jughead Digest. The only problem is, Archie comics publishes a LOT more of each digest than they actually sell with the percentage of sales to publishing running around 26% sell through. That's also a number that has dropped over the years. Back in 2010, the digests were selling at a rate of about 40% published. In 2007, Archie Digest sold 97K. The Jughead Digest sold 82K. Over the recent years, we've seen a decline in traditional grocery store chains as Wal-mart superstores spread. This would decrease the number of racks the digests could be placed on. As the CWR article seems to indicate, the recession took a huge toll on the digests. No doubt the $4.00 books became less of an impulse buy to cash-strapped shoppers. Tablets and cellphones, with their infinitely more engrossing apps have found their way into the hands of young kids. Now, you don't hand a kid a comic book for a long trip, but let them play with your phone instead. I suspect those novelty issues are doing pretty well for them on several levels, so I wouldn't count the gang in Riverdale out just yet. Is the comics industry be entering a new science fiction revival? Looking at sales figures and the number of sf titles, it feels like the type of sf comic boom not seen since the 1950's. 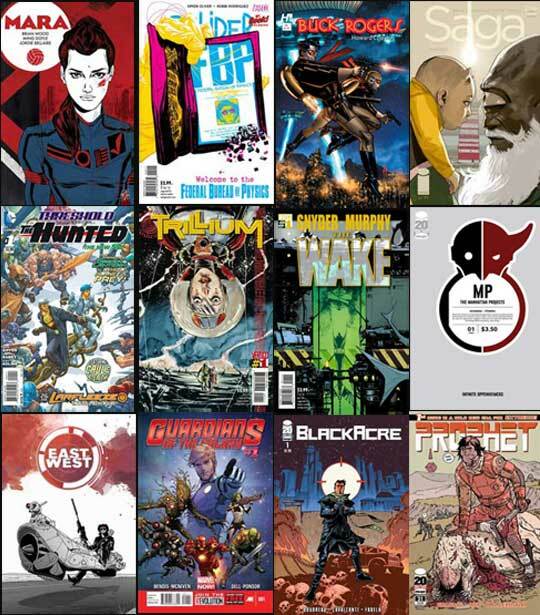 Consider this range of sf comics from several publishers over the last few months. Reviewing monthly sales figures for the titles above which showed up in the top 300 shows us a genre that seems pretty healthy. Guardians of the Galaxy is in the top 10. Albeit, that is more a conventional superhero title than a sf title, but it does open the door for other sf comics at Marvel in some ways. Saga is in the top 30 (and the August issue may have even broken the top 20) with the trade collections tearing up the charts. East of West is in the top 50 at 42. The third issue of The Wake came in at 82. Some of the above sold out (like Trillium) but because we haven't seen the August sales numbers, it's difficult to say what sold out means. Still, when was the last time a Vertigo comic sold out? It's beginning to look like DC's decision to increase it's sf comics was a good one. What's behind this trend? I suspect it's a bit of superhero burnout among current fandom combined with the expanded reach of digital comics bringing in science fiction fans. As it's been suggested, the impact of digital comics is additive, so people who discover Saga or Prophet on Comixology can quickly become trade paperback buyers. So, will this trend continue? 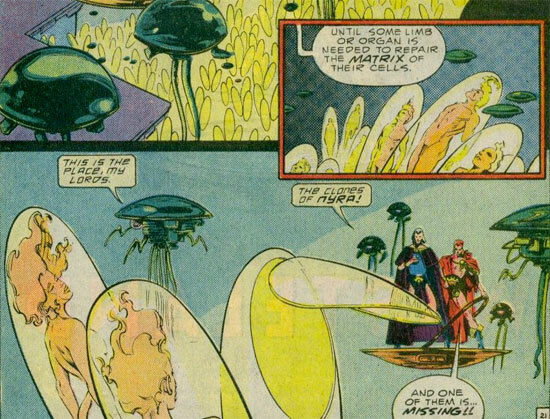 The last time we saw a real boom in science fiction comics was when DC cranked up the Helix imprint in the 90's. 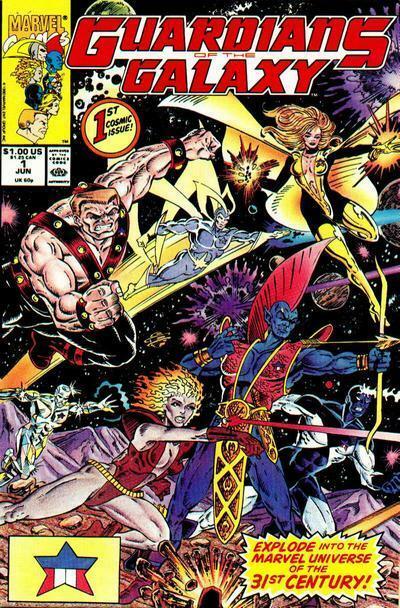 Which is coincidentally the same time that Marvel's Guardians of the Galaxy was going through a new incarnation. The Helix imprint didn't last long, but Transmetropolitan rolled out of into a very successful run. I hope many of the titles I mentioned above can run that long.